AJAR is assisting the Post-CAVR Secretariat in Dili, Timor-Leste, to disseminate the Commission for Truth, Reception, and Reconciliation (CAVR) report entitled Chega! This is the English language version, newly published by Kepustakaan Populer Gramedia in 2013. 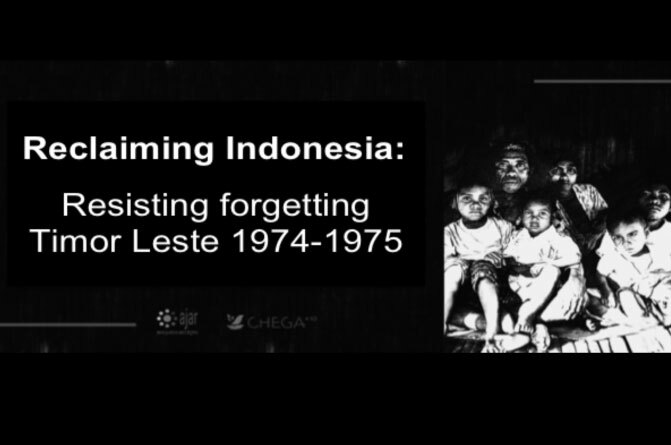 The report has received much acclaim for its comprehensive documentation and analysis of the conflict in Timor Leste from 1974-1999. As part of a regional campaign to commemorate ten years since the launching of this report in 2005, AJAR and partners are organizing a series of dissemination events, and a study on the impact of Chega! in Indonesia. The Chega! report is being distributed widely and for free to raise awareness about our common dark history of human rights violations. The activities include study on CAVR impact, meetings and roadshows with relevant stakeholders, public discussion, Chega comic production, web-based campaign, and Chega full sets dissemination.